Medical Association for Prevention of War calls on the Federal Parliament to pass the Urgent Medical Treatment Bill. Dr Sue Wareham will address a rally of supporters outside Parliament House, Canberra, from 11am today. The news of possible civilian deaths from Australia’s role in the bombing of Mosul, Iraq, in early 2017 reminds us of the tragedy of the war in that country. But it should not surprise us. We are often told the Australian military alliance with the United States allows us to adhere to the “International Rules Based Order”. A 2018 report found that the “rules” don’t always apply. PM Turnbull’s claim that it’s all about “jobs” is a contemptible fig-leaf for forcing people into the business of war profiteering. Watch Hiroshima survivor, Setsuko Thurlow and Beatrice Finn, CEO of ICAN, accept the Nobel Peace Prize on behalf of ICAN. Their speeches send a powerful message to the world that nuclear weapons must be banned. Click here to watch the ceremony in full. Message from the Aussies in Oslo – Tonight the Nobel Peace Prize is Awarded!!!! Dr Margaret Beavis has posted the second video diary of her trip to Oslo. Dr Beavis will be attending the Nobel Peace Prize ceremony tomorrow. Click here to watch Margie talk about the seminar she attended at the International Red Cross in Oslo earlier today. Count Down to Nobel Peace Prize Ceremony Begins! Today, May 3rd 2017 between 12:01 a.m. and 6:01 a.m. PDT, the US will test launch a second Minuteman III Inter Continental Ballistic Missile (ICBM) from Vandenberg Air Force Base in California. In the wake of the horrific chemical weapons attacks in Syria, Australian health professionals have called for an end to the war in that country and far greater humanitarian aid for its victims. Recent changes to the US National Security Council (NSC) should be ringing loud alarm bells in Canberra. Avalon Air Show used to be just an air show, and now it promotes military might and weapons dealing. An expanding arms trade ultimately harms communities and nations. Please return it to just an air show, and stop the arms trade being promoted at this event. Why is Australia not fully behind efforts to prohibit nuclear weapons? Despite Donald Trump and Vladimir Putin, the world is closer to banning nuclear weapons Despite Vladimir Putin and Donald Trump’s posturing on nuclear weapons, we are suddenly as close as we have ever been to making these weapons of mass destruction illegal. Over the last two years, MAPW has made a number of submissions to both the South Australia Royal Commission on the Nuclear Fuel Cycle and the National Radioactive Waste Project Below you will find MAPW’s submissions, media comments and factsheets. This new series of bulletins explores many aspects of the global arms trade, including its participants, its promotion, its victims, and some of the lessons of history. The information is very relevent to Canberra and its identity. 3rd August 2016 The Medical Association for Prevention of War (MAPW) strongly endorses the High Court challenge to the secrecy provisions of the Border Force Act launched last week by the organisation Doctors for Refugees. 7th July 2016 Australia needs an inquiry into the decision to invade Iraq Australia urgently needs war powers reform, so that the decision to go to war is no longer the prerogative of the prime minister. Attacks on health facilities in war zones must cease – Independent investigation of all attacks is essential. Majority of the world’s government want to negotiate a new treaty that would prohibit nuclear weapons. Melbourne: Monday 25th April 2016 : 30 years ago on April 26, two explosions tore off the roof of the reactor core of the Chernobyl nuclear plant in the Ukraine. The Foreign Minister’s plan to sell Australian uranium to Ukraine is a dangerous retreat from responsibility, the Australian Conservation Foundation said today. Foreign Minister Julie Bishop has announced she will sign an agreement this week with Ukrainian President Petro Poroshenko to supply Australian uranium to Ukraine. Failure of informed consent? Government information on nuclear waste is misleading and omits important facts. MAPW President, Dr Margaret Beavis made the following statement today regarding the misinformation being distributed by the government implying that because of nuclear medicine there is a need for a National Radioactive Waste Repository. Medical Isotope Production in Australia – should we be using nuclear reactor or cyclotron based technology? This newly produced fact sheet sets out the case for producing medical isotopes in cyclotrons instead of nuclear reactors. Click here to read in full. MAPW has published an updated factsheet entitled, Radioactive Waste in Australia. The factsheet provides accessible information for individuals and communities wanting to know the facts about the amount of radioactive waste produced from medical sources in Australia. The “war to end all wars” ushered in a century of violence on an unprecedented scale. A hundred years on, the lessons to be learned appear buried beneath a barrage of commemorative activities. MAPW believes that Australia could best honor those who died by learning from the past. Melbourne : Thursday 26 November 2015 – The Medical Association for Prevention of War (MAPW) today condemned the Australia Government for risking the proliferation of nuclear weapons by confirming the sale of Australian uranium to nuclear-armed India, ignoring its own committees advice. MAPW President, Dr Margaret Beavis on Banning nuclear weapons : why does it matter and what can we do about it? The War to End all Wars, honouring the dead by learning the lessons, is a series of papers written by a wide range of experts. Hiroshima and the bomb – what now? MAPW National President Dr Margaret Beavis has written the following article for Australian Doctor. The article was published on Friday 14th August 2015. Hiroshima and the bomb- what now? On this day 70 years ago, the world and the preconditions for its health and survival changed forever. A crude bomb containing 60 kilograms of highly enriched uranium exploded 580 metres above Hiroshima. MAPW in partnership with the Public Health Association of Australia have lodged a joint submission addressing the terms of reference of the South Australia Nuclear Fuel Cycle Royal Commission. Some means of waging war are so inhumane, or represent such a violation of human rights, that their use is considered a war crime. Chemical and biological weapons, and environmental warfare, are all illegal under international law, on these grounds. France conducted atmospheric and underground nuclear bomb tests at Mururoa atoll in the Pacific between 1960 and 1996. The official position is that these were particularly clean. The “war to end all wars” ushered in a century of violence on an unprecedented scale. A hundred years on, the lessons to be learned appear buried beneath a barrage of commemorative activities. MAPW believes that Australia could best honour those who died by learning from the past. Dr Amanda Ruler. RN , PhD. National Vice President , Medical Association for Prevention of War, Australia. Historian Carolyn Holbrook spoke in March, 2015, at an MAPW forum in Fremantle on Australia’s commemoration of World War One. She argued that the way we remember past wars influences, for good or ill, our attitude to current and future wars. Melissa Parkes, Federal member for Fremantle, spoke in March, 2015, at an MAPW forum organised by the Western Australian branch on Australia’s commemoration of the centenary of World War 1. She described the tendency to romanticise war in this commemoration, and the important alternative of thinking in terms of prevention. The National Council and staff of MAPW were very saddened to hear of the death this morning of Malcolm Fraser. We wish to pass on our sincere condolences to his family. The 14th meeting of the World Summit of Nobel Peace Laureates took place in Rome from December 12 to 14 2014. The initiative attracts Nobel Peace Prize laureates, high-profile leaders and organizations from around the globe. This year’s edition is dedicated to the memory of Nelson Mandela and is entitled: “Peace. The Medical Association for Prevention of War, in partnership with the Australian Conservation Foundation, is pleased to announce that Mr Naoto Kan will be their guest at a very special evening in Melbourne on Friday 29th August at 7.30pm at the City of Melbourne Bowls Club, Flagstaff Gardens, Dudley Street, West Melbourne. The Environment Protection Biodiversity Conservation Act (EPBC) is under immediate attack and there was only a small window of opportunity to make our views heard to the Inquiry pannel regarding the planned changes. Popular Anzac eve event makes a return, thanks to the Victoria Branch of MAPW & Brunswick Secondary College. Tuesday 11 March 2014 marks the third anniversary since the meltdown of three nuclear reactors at the Fukushima nuclear power plant in Japan. As thousands of people around the world gather to hold vigals to remember the people affected by the accident, the Japanese government is hoping to send residents back to the region. Sadly on Saturday 8th February 2014 Michael Denborough, founder of the Nuclear Disarmament Party, passed away. Today Red Cross Red Crescent made a commitment to work globally towards establishing an international agreement to ensure nuclear weapons are never used again, and are ultimately eliminated. Japan’s prime minister says the government will get more involved in cleaning up the crippled Fukushima nuclear plant, as he described as “urgent” a battle to stop radioactive water from leaking into the ocean. MAPW has written to the Prime Minister on 22 June to express concern at the terrible bloodshed and suffering that is occurring in Syria, with evidence of the humanitarian effects, and a series of recommendations. Dr Sue Wareham was invited to a round-table on 17 June with the Australian Parliament’s Joint Standing Committee on Treaties where she raised significant problems arising from the proposed treaty governing Australian uranium sales to the United Arab Emirates. At a recent meeting of parties to the Non-Proliferation Treaty in Geneva, the Australian government refused to sign on to an 80-nation statement declaring that any use of nuclear weapons would have catastrophic humanitarian consequences. MAPW has presented a submission to the Joint Standing Committee on Treaties against the sale of uranium to the United Arab Emirates. Last year’s cuts to defence spending have been restored in this year’s budget. ICAN has launched an online petition campaign which aims to show the nations participating in the upcoming conference in Mexico that there is strong support for a treaty banning nuclear weapons. 26 April was the anniversary of the 1986 Chernobyl meltdown – contamination continues, containment crumbles – and fuelled by uranium. Leave it in the ground. Completing MAPW’s series, a new two-page paper by Stewart Firth discusses our military relationships. World military expenditure totalled $1.75 trillion in 2012, a fall of 0.5 per cent in real terms since 2011, according to figures released today by SIPRI. The role of the US is highlighted in a letter on North Korea by MAPW Vice President Dr Sue Wareham published on Saturday 6 April in The Sydney Morning Herald. MAPW Vice-President Dr Sue Wareham questions the ethics and legality of the Iraq war in an opinion piece published by the Canberra Times. Australia’s changing strategic environment has prompted the development of a new Defence White Paper. An MAPW submission has been written by Dr Jenny Grounds. Dr Sue Wareham, MAPW Vice-President, argues in today’s Age and Sydney Morning Herald newspapers that the 10th anniversary of the massive anti-war demonstrations around Australia and across the world, is a fitting occasion for an inquiry into Australia’s participation in the Iraq war. As North Korea heightens tensions by testing a nuclear bomb, a timely new publication documents the “unspeakable suffering” caused by nuclear weapons. On Monday 4 February Dr Jenny Grounds, President of MAPW and also a doctor in the Macedon region of Victoria, joined students from Gisborne Secondary College and their teacher Ms Noriko Ikaga as they handed 2,000 paper cranes to Senator Jan McLucas, who had travelled from Queensland to represent the Prime Minister. On Monday 10 December members of ICAN and MAPW attended a candlelight vigil in Argyle Square in Carlton. ICAN’s Takeshi has posted this Youtube of the event. On Sunday 16 December Dr Peter Underwood spoke on the ABC’s Occam’s razor on his trip to Hiroshima for the IPPNW meeting in August. MAPW has issued a statement reflecting on the recent armed conflict between Israel and Palestine in Gaza, calling for moves to ease suffering, and to work towards peace and the removal of nuclear weapons. Watch the new IPPNW presentation on the medical, humanitarian and environmental consequences of nuclear weapons and nuclear war, and the reasons why nuclear weapons must be eliminated. MAPW has again urged that robust science be used in medical presentations on radiation health issues. The position of South Australian Senior Australian of the Year has been awarded to Emeritus Professor Ian Maddocks, Professor of Palliative Care at Flinders University, former Vice-President of IPPNW, former President of MAPW and long-term leader of the SA Branch of MAPW. Will Clinton talks make war more likely? The safety and legality of uranium sales are raised by member Glenys Davies in The West Australian on 23 October 2012 in a letter responding to an article by Thom Woodroofe. India certainly is “more than cricket” as headlined in the Opinion piece by Thom Woodroofe in yesterday’s West Australian. On Saturday 20 October Dr Jenny Grounds, President of MAPW, gave a paper to the annual World Matters Literary Festival. Jenny was also speaking in her capacity as a member of the Iraq War Inquiry Group. Read her paper here. Julia Gillard’s visit to India this week is expected to try to pave the way for Australian uranium sales to India. MAPW has consistently opposed the sale of uranium to India, which is not a signatory of the Nuclear Non Proliferation Treaty and has refused to sign the Comprehensive Test Ban Treaty. MAPW President Dr Jenny Grounds writes: Today is World Food Day which highlights the continuing disparities in food supply around the planet. On this day let us acknowledge that nuclear weapons present a huge threat to production of food. MAPW is a founding member of a the Independent & Peaceful Australia Network (IPAN) which was launched around Australia on the International Day of Peace, 21 September. CAIRNS, WEDNESDAY 19 SEPTEMBER: MAPW’s Dr Jenny Grounds was the keynote speaker at the final plenary of this year’s Global Health Conference, attended by 500 medical students from around Australia. Check out our Facebook and Flickr pages for short video clips, news and photos of MAPW members’ participation in the 20th IPPNW Congress at Hiroshima. 16 August 2012. Today leading Australians are to call for an independent inquiry into the decisions that led to Australia invading Iraq, and a review of the war powers of the government, to draw out what lessons can be learned for the future. The following letter by MAPW volunteer Maria Swrydan was published in The Age on Saturday 11 August. Maria has been researching the long-term of effects of the Vietnam war on returned servicemen and their families. 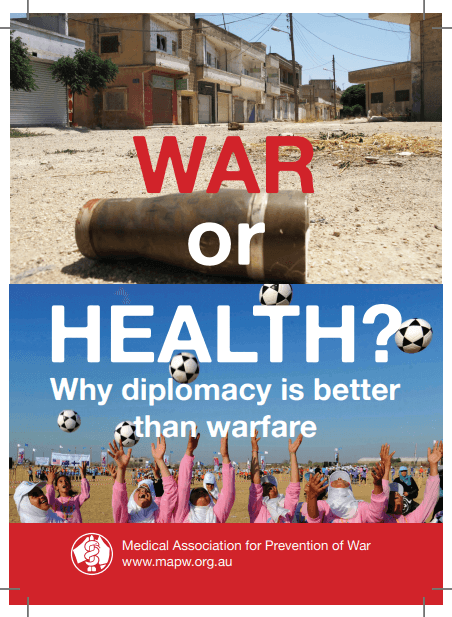 The lead editorial in this month’s edition of the ANZ Journal of Public Health has been written by Tilman Ruff and Ira Helfand on the topic of the historic call by the global Red Cross movement for all states to pursue an agreement to prohibit the use of nuclear weapons. The fourth paper in MAPW’s War and militarism series is by Professor John Langmore. MAPW members are reminding the community about the dangers of radiation by attending the Lizards Revenge, a protest camp next to the Roxby Downs uranium mine gates. Postcards calling on Australia not to fuel another nuclear catastrophe, were signed by Japanese people in Yokohama in January 2012 at the Global Conference for a Nuclear Power Free World. They were addressed to the Prime Minister, Julia Gillard (see picture below). On 28 June MAPW joined with other Australian organisations to present the Government with petitions calling for international controls over the arms trade. Virtually all international trade in goods is regulated. But no globally agreed standards exist for the international arms trade. MAPW has made a submission to the Joint Standing Committee on Treaties in regard to the proposed extension of the 1987 Regional Co-operative Agreement for Research, Development and Training Related to Nuclear Science and Technology. The Treaty, first signed in 1987, covers a nuclear research and development agreement between Australia and fourteen other Asian countries. Members’ and supporters’ messages to Tilman after he was awarded an AM in the Queen’s Birthday honours From Dr Bob Mtonga, IPPNW Co-President: A well deserved accolade! Associate Professor Tilman Ruff, former MAPW President, currently Australian Chair of ICAN, has been awarded a “Member (AM) in the General Division of the Order of Australia” in the Queen’s Birthday 2012 Honours List. On 1 June the independent news and analysis site New Matilda published an article by Dr Sue Wareham, MAPW Vice President, on Australia’s reliance on the United States and its nuclear arsenal. The article, written to mark International Nuclear Abolition Day, can be read here. Melbourne, 28 May. MAPW Vice-President Dr Margaret Beavis will urge the Board of Oz Minerals, at their AGM this afternoon, to stop Toro Energy promoting scientists who claim that low levels of radiation are good for health. Toro Energy is 40% owned by Oz Minerals. Remove US nuclear weapons from Europe now! On 20 May 2012 world leaders will meet at the NATO summit in Chicago. The future of nuclear weapons presently deployed in Europe is on the agenda. Sign a petition, initiated by the Global Zero movement, to have these dangerous weapons removed. A statement signed by 45 medical doctors calls on uranium mining company Toro Energy to stop promoting the view that low-level radiation is beneficial to human health. Who decides when Australia goes to war? A new MAPW paper says the power to make war should be removed from Executive government (Cabinet) and located in the Australian Parliament. Sending Australians to War is the third in the MAPW War & Militarism series. A nuclear war anywhere in the world, using as few as 100 weapons, would disrupt the global climate and agricultural production so severely that the lives of more than a billion people would be at risk, according to research findings released overnight by MAPW’s international organisation IPPNW. Artist Michael Leunig and gardener and TV presenter Peter Cundall will join local writers and performers to reflect on The Language of War, on Anzac Eve in Melbourne. Today, 17 April 2012, is Global Day of Action on Military Spending (GDAMS). ICAN and GetUp have set up a petition to help build a groundswell of pressure to ensure the Future Fund change their policy and divest from nuclear weapons manufacturers once and for all! 4 April 2012 is United Nations Landmine Awareness Day. You can show your solidarity with the survivors of landmines by joining the “Lend your leg” campaign. What is the radiological situation at Fukushima one year after the disaster? Don’t hold your breath for Fukushima radiation toll is an article written by former president of MAPW and current chair of ICAN, Tilman Ruff. It was published recently in The conversation, a journal of the university and research sector. A groundbreaking report released on 5 March by ICAN identifies more than 300 banks, pension funds, insurance companies and asset managers in 30 countries with substantial investments in nuclear arms producers. While the Future Fund has divested from cluster bomb and landmine manufacturing it continues to hold investments in companies producing nuclear weapons. By refusing to divest itself of these investments the government undermines its own objective of a nuclear weapon free world. Canberra Times 27 February: Letter published from Dr Sue Wareham OAM, MAPW Vice President. 20 FEBRUARY 2012, MELBOURNE: MAPW MEDIA RELEASE. Australia does not need yet another annual day to commemorate warfare. There are now five national days of remembrance: Anzac Day, Remembrance Day, Battle for Australia Day, Merchant Navy Day, and the new Bombing of Darwin Day. International Physicians for the Prevention of Nuclear War (IPPNW), of which MAPW is the Australian affiliate, has released the following statement concerning the growing threat of military attack against Iran’s nuclear facilities. MAPW has expressed concern at evidence that Australia deliberately tried to avoid its human rights obligations under the Geneva Convention in Iraq and Afghanistan. MAPW has issued a media release supporting the call for a Royal Commission made by the Public Interest Advocacy Centre. The Medical Alert for a strong Arms Trade Treaty is a campaign by IPPNW (International Physicians for the Prevention of War) to save lives and promote health through influencing the current UN negotiations on a global arms treaty. Please help by adding your signature and sending the link to colleagues in hospitals, universities etc. A letter by MAPW Vice-President Dr Sue Wareham was published in The Canberra Times on 6 February 2012. It responded to an advertising feature placed in the newspaper at the time of Sri Lankan Independence Day. The following letter from MAPW President was published in The Age on 31 January 2012. The letter calls for the establishment of a nuclear free zone in the Middle East. On 26 January 2012 ICAN launched a statement calling upon the Prime Minister Julia Gillard to take a leadership role in efforts to ban nuclear weapons. Canberra Times 21 January: Letter published from Dr Sue Wareham OAM, MAPW Vice President. The Global Conference for a Nuclear Power Free World, held in Yokohama Japan 14-15 January, was attended by 11,500 people from over 30 countries, with over 100,000 watching via web stream. Australian participants included MAPW’s Dr Margaret Beavis. Mr.
Can Japan do better than Chernobyl? MAPW Vice-President Dr Margaret Beavis reviewed the response to the Fukushima reactor disaster in the ABC’s The Drum on 6 January 2012. On 6 December 2011 the Northern Territory News asserted in an editorial that the nuclear waste destined for Muckaty will be radioactive waste from hospitals and accused MAPW of "scare mongering". Following the ALP conference decision to sell uranium to India MAPW and ICAN have released a joint statement to the media expressing their disappointment that the government continues to put profits ahead of health and security. Is selling uranium to India legal? The International Campaign to Abolish Nuclear Weapons (ICAN) has received legal advice casting doubt on the legality of Julia Gillard’s proposal that the Australian government should sell uranium to India. An Alice Springs-based team of doctors has completed a study of the potential risks of transport of radioactive waste materials, and launched a fact sheet to explain its findings. ALP Caucus votes to stick by US military and remain soft on cluster bomb ban: Cluster Munitions Coalition 22 NOVEMBER 2011: ALP caucus yesterday voted NOT to amend its widely criticised Cluster Munitions Prohibition bill to remove two loopholes that defy the whole intention of the Convention on Cluster Munitions. MAPW has joined organisations around Australia to send socks to Defence Minister Stephen Smith as a sad reminder of the human costs of cluster bombs. Draft legislation before the Government would seriously weaken the important international treaty which bans cluster munitions. The Medical Association for Prevention of War (MAPW) has called on the Government and the ALP to lead the world towards the abolition of nuclear weapons, rather than risking nuclear weapons proliferation by selling Australian uranium to nuclear-armed India. MAPW has issued a media release supporting calls for suspension of defence cooperation with Indonesia and to demand access for Australian and other journalists to West Papua, following the shooting of pro-independence activists in West Papua. MAPW has joined a group of prominent Australian individuals and institutions, reflecting a broad-ranging perspective in the political spectrum, and co-signed an Open Statement on Asylum Seekers. The Open Statement emphasises the need for an alternative policy direction in Australia’s treatment of asylum seekers and outlines key elements of that new direction. On the tenth anniversary of the Afghanistan war, MAPW members across Australia spoke out on the human and health costs of the war. Uranium and health: the medical perspective is the text of a speech given by Dr Jenny Grounds at the "Uranium and poetry of peace" seminar held at Moores Gallery, Fremantle, Western Australia on 25 September, 2011. Around 40 top WA artists are supporting the work of MAPW through an exhibition opened last weekend in Fremantle. Iratxe Momoitio Astorkia, the director of the Gernika Peace Museum in Lumo, Spain, opened the exhibition at the Moores Building gallery in Fremantle on Saturday 24 September, with over 200 people present. MAPW Vice President Dr Margaret Beavis, in a letter published in today’s Australian, notes the flaws in Stephen Loosley’s opinion piece urging the ALP to approve uranium sales to India. Dr Beavis writes: In the national interest? 15 August 2011, Canberra Times: Letter from MAPW’s Dr Sue Wareham OAMAndrew Wilkie’s call for an inquiry into Australia’s participation in the 2003 invasion of Iraq (“Wilkie calls for Howard to answer questions over Iraq”, CT August 11) should be applauded and supported. (Published Monday 11 July 2011) Dear Editor, On Monday this week the ABC’s Four Corners program broadcast distressing and compelling footage that strongly supports allegations of war crimes having been committed, by both sides but primarily by government forces, during the appalling conflict in Sri Lanka in 2009. Dr Bill Williams, on behalf of MAPW, is one of 45 signatories of an open letter to the Defence Minister, Foreign Minister and Attorney General urging changes to the proposed legislation on the ratification of the Convention on Cluster Munitions soon to be debated by the Senate. MEDICAL GROUP CALLS FOR WAR CRIMES INVESTIGATIONS IN SRI LANKA MAPW has urged the Australian government to push strongly for independent international investigations into war crimes suspected of having been committed in the final stages of the war in Sri Lanka in 2009. IPPNW and its affiliates released a number of media statements, interviews and reports regarding the Fukushima nuclear crisis. These various expert reports, interviews and fact sheets have now been compiled into a single publication explaining the current situation from a health and medical perspective. MAPW’s SA branch co-ordinator Dr Amanda Ruler spoke at a protest held in response to a Defence and Industry conference and expo being held at the Adelaide convention centre. The conference ran from the 27 – 30 of June. A full transcript of the speech is available here. MAPW’s Dr Sue Wareham will be speaking in a panel on Sunday morning at the annual Global Health Conference run by the Australian Medical Students’ Association, which will run from the 30 of June to the 3 of July in Sydney. Japanese government conceals data: Lateline Friday June 10th. Dr Peter Karamaskos, MAPW treasurer and Australian public representative on the Radiation Health Committee of the Australian Radiation and Nuclear Safety Committee speaks to Ali Moore on the failure of the Japanese government to inform and protect its citizens. MAPW today called on the Government to withdraw the National Radioactive Waste Management Bill which is listed for debate in the Senate. If passed the legislation would see Muckaty, 120km north of Tennant Creek, as the only site initially assessed for a radioactive waste dump. MAPW Vice-President Dr Jenny Grounds has questioned whether Australia’s identity should be defined by our soldiers’ performance in a theatre of war. Monday 29 January 6-7:30pm Gallery Yampu, 1 Jenkins St, Birkenhead Free event. Register here. MC: Cat Beaton, Conservation Council of South Australia. Hosted by Peace Boat, Conservation Council of SA and ICAN. Invite friends on Facebook. Dr Sue Wareham OAM spoke on the topic of "Nuclear power: bequeathing more problems for future generations" in a 24 March 2011 forum in Canberra. Links to resources on radiation hazards in Japan, including reports on food and water contamination, have been added to our nuclear accidents page; plus links to Japanese English-language media, and further expert analysis. MAPW members are available to speak on issues concerning refugees and asylum seekers. MAPW has urged in the past that Australia’s response to asylum seekers be humanitarian, and in accordance with international human rights law. MARCH 23, 2011: MAPW’s global network – the International Physicians for Prevention of Nuclear War – have called for a solution to be sought in Libya through peaceful means. MEDIA RELEASE, MELBOURNE 17 MARCH: An MAPW media release laments the lack of accurate information about the continuing nuclear crisis in Japan. MAPW and our expert members can assist with resources and speakers to help explain the health implications of the current nuclear crisis. For key resources on nuclear accidents and radiation, see our nuclear accidents page. PUBLISHED CANBERRA TIMES, 16 MARCH 2011 Dear Editor, The catastrophe in Japan has created not only human misery and a tragic wasteland of monumental proportions, but possibly a radioactive wasteland to which many will never return. Only nuclear power can leave such a permanent mark on our fragile environment. TUESDAY 15 MARCH: As the nuclear crisis in Japan becomes even more serious, key background materials are now assembled on our nuclear accidents page (click yellow link on right); and MAPW experts continue to speak to the media (including tonight’s Lateline; tomorrow’s Today show, and Melbourne’s Gold FM breakfast. MEDIA STATEMENT, Melbourne, 14 March 2011: The unfolding tragedy in Japan has highlighted the dangerous reality of nuclear power and its potential severe health consequences, said the Medical Association for the Prevention of War (MAPW) and International Campaign to Abolish Nuclear Weapons (ICAN) in a joint statement today. THURSDAY 10 FEBRUARY 2011: MAPW opposes the proposed sale of Australian uranium to India, and is appalled at revelations that the Energy Minister has secretly told the US that a deal is on the way. This MAPW report focuses on Wikileaks revelations about Australia, and on issues of particular interest to our members. MAPW has made a submission to the Senate, urging that legislation currently before the Parliament be amended to strengthen, rather than undermine, the recent international treaty aiming to ban these shocking weapons. MAPW and ICAN are seeking applicants for the position of Book-keeper/Administrator. This is a 2-day/week position shared between MAPW (the employer) and ICAN. The successful applicant will normally work one day with each organisation. MAPW has today released a new discussion paper on the use of armed “drones” – remotely controlled aircraft – by the USA, in Afghanistan. MEDIA RELEASE, 25 OCTOBER 2010: Following media reports alleging human rights abuses committed by the Indonesian Security Forces, MAPW urges the Australian Government to hold an inquiry into how our military support for the Indonesian security forces is being used by the Indonesian military. MAPW challenges misconceptions about Australia’s role in external and internal wars, in a detailed submission to the National Commission which will advise the Government on options to mark the 2015 ANZAC Centenary. UN DPI CONFERENCE 1 SEPTEMBER 2010. MAPW told this major conference of NGOs, held this year in Melbourne, that the impact of armed conflict often gets overlooked in considering ways in which health can be improved, not only in developing countries but also in developed countries. Choose Nuclear Free is an initiative of the Medical Association for Prevention of War, ICAN, and Friends of the Earth, Australia. Help us build a nuclear-free future! Why aren’t Ms Gillard and Mr Abbott debating Australia’s military contribution in Afghanistan? A new MAPW fact sheet published today, describes in simple language how what nuclear medicine is, and how it is used for diagnosis and treatment. It also explains what is NOT nuclear medicine (it does not include x-rays, or CT scans, for example). MAPW has just released two excellent new publications which document the health and environmental risks of nuclear weapons; and the health risks of the nuclear industry. MAPW President Dr Bill Williams wrote to to Australian Prime Minister Julia Gillard on July 1 to congratulate the Australian Senate on its recent resolution regarding the investigation of alleged human rights abuses during the final stages of Sri Lanka’s civil war in 2009. MAPW has launched a new discussion paper on Afghanistan by member and psychiatrist Dr Peter Wigg. MAPW has moved office. Please note our new office phone: 03 9023 1958; and fax: 03 9662 2619. MAPW has released a new two page fact sheet about the proposed Northern Territory Nuclear waste dump at Muckaty Station. The Medical Association for Prevention of War today condemned the government proposal to sell uranium to Russia, in contravention of recommendations from its own parliamentary inquiry. WEDNESDAY 3 MARCH 2010 A full-page advertisement in today’s “Western Australian” urges Australians to write to our Foreign Minister Stephen Smith asking him to bring Australian troops home. The advertisement also urges readers to donate to MAPW. MAPW today issued a statement expressing concern over today’s announcement by Energy Minister Martin Ferguson that the Australian Government will pursue Muckaty Station in the Northern Territory as the preferred site for a nuclear waste dump. The Medical Association for Prevention of War today supported calls for an independent inquiry into Australia’s involvement in the Iraq War. The Board of the Bulletin of the Atomic Scientists have declared that their “Doomsday Clock” is now set at 6 minutes to midnight, recognising international efforts to reduce the two threats of nuclear weapons and climate change. MAPW President Dr Bill Williams has a front page feature on the ecological consequences of war, published in this week’s Medical Observer (11 January 2010). MAPW today applauded a new Australia-sponsored report for recognising the destructive potential of nuclear weapons, but criticised the slow pace of disarmament proposed by the report. MAPW President Dr Bill Williams has written to the Australian Minister for Foreign Affairs expressing concern and asking for information on Australia’s recent vote at the UN against adoption of the Goldstone Report on alleged war crimes committed during the Gaza war in December-January 2008-2009. MAPW President Dr Bill Williams has written to Australian Minister for Defence Senator John Faulkner, congratulating the Minister for not committing additional Australian troops to Afghanistan. MAPW Dr Sue Wareham : ACT disability services award for major weapons manufacturer? The Medical Association for Prevention of War (Australia) notes with concern the dismissal by authorities of possible health consequences of a radiation leak at the Three Mile Island nuclear power plant last weekend. ICAN Chair, NGO advisor to the ICNND and MAPW former President Associate Professor Tilman Ruff writes in major Japanese newspaper Chugoku Shimbun giving a personal reflection on his own experience in Hiroshima 20 years ago and argues for a Nuclear Weapons Convention. MAPW President Dr Bill Williams has written to Australian PM Kevin Rudd to applaud the PM’s ‘recently expressed commitment to continue to reject nuclear power as an energy source in Australia’. MAPW President Bill Williams has written a letter to Immigration Minister Chris Evans, urging that Australia’s response to Sri Lankan asylum seekers be humanitarian, and in accordance with international human rights law. MAPW has supported a Bill before Australia’s Parliament, which would require the Parliament to give approval before Australia sends troops to an overseas war. MAPW and ICAN – the International Campaign to Abolish Nuclear Weapons – have welcomed today’s call by a federal parliamentary inquiry, for Australia to play a leading role in ridding the world of nuclear weapons through a global Nuclear Weapons Convention (NWC). Dr Bill Williams was elected the new President of MAPW during the National Council meeting on the weekend of 29-30 August 2009. MAPW’s National Council, which met on the weekend of 29-30 August 2009, was addressed by the Member for Wills, Kelvin Thomson M. Mr Thomson chairs the Australian Parliament’s significant Joint Standing Committee on Treaties (JSCOT), which is expected to report later this month on its broad-ranging inquiry into Australia’s nuclear treaties. 20 August 2009. MAPW President Sue Wareham made a statement in regards of the state of the approximately 300,000 Tamils still in detained in camps in Sri Lanka. The main concerns include the psychological and physical effects warefare has on the detained, as well as civilians and medical staff caught in overcrowded refugee camps. MAPW has argued that the proposed expansion of the Olympic Dam uranium mine would lead to further threat from the nuclear fuel chain, as uranium mining is the starting point for the greatest environmental threat that humanity faces – nuclear weapons. MAPW members joined commemorative vigils around Australia to mark the dropping of an atomic bomb on the city of Hiroshima at 8.15 on a summer morning in 1945. MAPW President Sue Wareham has marked Hiroshima Day with a piece in Online Opinion, reminding readers that the Hiroshima bomb was a very small weapon by today’s standards, and yet an estimated 90,000 people died immediately it fell on the Japanese city. On 16 July, the 65th anniversary of the US Trinity nuclear weapons test, MAPW Vice President Bill Williams wrote in Online Opinion that it’s time to promote the retirement of the world’s worst weapons of terror through a global treaty. MAPW President Dr Sue Wareham OAM looks at the environmental cost of the 2009 Talisman Sabre military exercises in her 10 July article on On Line Opinion Dr Wareham argues that war and its preparation is the “one human activity that manages to escape scrutiny in our efforts to address climate change”. MAPW has asked Federal and Queensland politicians to support their request for the Australian Government to conduct a carbon audit of the Talisman Sabre joint US-Australian military exercises currently being held in Central Queensland. THURSDAY 25 JUNE. Talisman Sabre, which are major joint US and Australian military exercises, occur every two years in Queensland and the Northern Territory. MAPW has criticised these, as the exercises cause the environment to suffer greatly, and are also a threat to Australia’s security. THURSDAY 25 JUNE 2009. MAPW Vice-President Associate Professor Tilman Ruff visited Moscow for the International Commission on Nuclear Non-Proliferation and Disarmament, initiated by the Japanese and Australian governments. An MAPW analysis of community submissions on the 2009 Defence White Paper confirms that the report on these submissions ignored a widespread call for peace-making to take priority over military approaches to Australia’s security. Court victory another step in nuclear veterans’ lengthy compensation battle Over 20,000 British, Fijian, New Zealand and Australian military personnel witnessed Britain’s nuclear testing program in Australia and the Pacific between 1952 and 1958. Following the resignation of Joel Fitzgibbon as Defence Minister, this letter from MAPW EO Nancy Atkin was published in the The Age: Joel Fitzgibbon has stood down over conflicts of interest. But his failure to understand such conflicts was already clear in the Minister’s handling of the Defence White Paper process. MAPW has marked the Global Week of Action to Ban Cluster Bombs by urging three countries in our region to take action to help eradicate the scourge of cluster munitions. MAPW placed the following notice in the Canberra Times on 2 June 2009. 28 MAY 2009. Former Prime Minister Malcolm Fraser adressed the National Consultative Committee on Disarmament Conference in Wellington last weekend, talking about issues of nuclear arms possession and the impossibility of differentiating between nuclear weapons for use and those for deterence. Concerned villagers and activists opposed to the lease extension for India’s uranium mine mill at Jadugoda, have been refused entry to the hall where the hearing was being conducted. MELBOURNE, 25 MAY 2009. Reports of a North Korean nuclear weapons test have brought new calls for a treaty to ban nuclear tests, and for progress towards abolishing nuclear weapons. MAPW Vice President, Associate Professor Tilman Ruff, has called on existing nuclear weapons states to get rid of their nuclear weapons. Community organisations and individuals interested in the direction of Australia’s defence policy will have an opportunity to present their views. MAPW and the Nautilus Institute (RMIT) are organising a Public Forum following widespread disappointment in the community consultation preceding the Defence White Paper, where submissions advocating non-military solutions to conflict appear to have been ignored. Defence will get a massive additional $43 billion dollars over a decade, with three per cent annual growth. The budget includes a substantial allocation of $9.2 million for the International Commission on Non-Proliferation and Disarmament, and also funds for counter-proliferation intelligence; and for nuclear and radiological security. NEW YORK: MAPW Vice-President Dr Ruth Mitchell is writing daily reports from the United Nations Preparatory Committee for the nuclear Non-Proliferation Treaty which began in New York on 4 May. Australia’s Defence White Paper was released on 2 May, following the Community Consultation report two weeks ago. 30 APRIL 2009. MAPW Vice-President Dr Bill Williams has had a feature published in Online Opinion this week. 30 APRIL 2009. MAPW Vice-Presidents (and ICAN Board Members) Tilman Ruff and Ruth Mitchell are headed for New York where they will attend the NPT PrepCom (the 2009 United Nations Preparatory Committee for next year’s review of the Nuclear Non-Proliferation Treaty). On Wednesday 15 April, the Department of Defence released the report on its Defence White Paper Community Consultation: Looking over the horizon: Australians consider defence. 16 APRIL 2009. MAPW President Dr Sue Wareham OAM has written to Prime Minister Kevin Rudd, urging that Australia support a political solution to the conflict in Afghanistan and withdraw Australian soldiers from the region, together with rebuilding of the country. 8 APRIL 2009. Calling for complete abolition of nuclear weapons through a convention, MAPW Vice President and Associate Professor Tilman Ruff joined former PM Malcolm Fraser, General Peter Gration, Lieutenant General John Sanderson, Barry Jones and Sir Gus Nossal to publish an article in The Age and Sydney Morning Herald. SUNDAY 5 APRIL 2009. MAPW speakers were guests at successful Palm Sunday rallies in both Melbourne and Sydney, with Tasmanian members coordinating a Palm Sunday vigil in Hobart. In Melbourne, ICAN organiser Jessica Morrison chaired the peace event. Speakers included MAPW Vice President and ICAN Board member Dr Ruth Mitchell. MELBOURNE, WEDNESDAY 25 MARCH 2009. Dr Sue Wareham OAM. speaking as MAPW President and submission author, was one of six of experts invited to a Round Table with the Committee inquiring into Australia’s nuclear treaties. (See 9 December story for inquiry background.) Associate Professor Tilman Ruff participated on behalf of ICAN. MONDAY 23 MARCH 2009: On the eve of Prime Minister Rudd’s meeting with US President Barack Obama, more than 300 of the world’s top physicians have written to the US and Russian Presidents. MELBOURNE, 9 DECEMBER. Australia’s nuclear treaties Inquiry offers a chance to call for a strengthened South Pacific Nuclear Weapons-Free Zone, MAPW members heard last night. Associate Professor Michael Hamel-Green, Australia’s foremost expert on nuclear weapons-free zones (NWFZs), was the guest speaker at a well-attended Victorian Branch dinner. (UPDATED 24 MARCH 2009) Parliament’s Joint Standing Committee on Treaties has published 78 public submissions to its Inquiry into all the international nuclear treaties involving Australia. French nuclear veterans have strongly criticised a proposed new law covering compensation for survivors of French nuclear testing in Algeria and French Polynesia. The law would cover former nuclear workers and military personnel whose health was affected by French nuclear tests – but survivors say few people would be eligible. See our resources page for the job description for details of this 6-month, 3 days a week position in 2009. Australians 2-to-1 against uranium exports to countries with nuclear weapons New polling shows twice as many Australians (62 per cent) are against exporting uranium to countries with nuclear weapons than are in favour (31 per cent). ADELAIDE, 9 NOVEMBER 2008: MAPW President Dr Sue Wareham OAM has launched a statement on behalf of 36 civil society organisations from across Australia, calling to an end to arms exhibitions in Australia. ICAN’s Australian Chair, MAPW Vice-President Associate Professor Tilman Ruff, has been invited to be an NGO Adviser to the Co-chair of the International Commission for Nuclear Non-Proliferation and Disarmament. 28 OCTOBER 2008: The UN Human Rights Committee meets this week to determine a list of issues to raise with Australia in March 2009, concerning compliance with the International Covenant on Civil and Political Rights. A new MAPW fact sheet summarises and provides the major references – a recent German study, and a new meta-analysis – on the association between childhood leukaemia and nuclear power. ALICE SPRINGS, 5 OCTOBER 2008: MAPW members were among the 300 community members gathered in the Todd Mall, Alice Springs on Sunday 5 October to oppose uranium exploration at the Angela and Pamela deposits just 25 km away. CANBERRA, 18 SEPTEMBER 2008: The Australian Government has received a Committee report recommending against ratifying a treaty which would have allowed uranium sales to Russia to proceed. Monday 8 September 2008 The arms fair planned for Adelaide has been cancelled. Read MAPW Media Release, 8 September 2008. The major Asia-Pacific Defence and Security Exhibition (APDSE) was due to open on Remembrance Day, 11 November. MAPW has told an Australian government enquiry that nuclear warfare threats should end plans to sell Australian uranium to Russia. MAPW President Dr Sue Wareham was invited to address the Joint Standing Committee on Treaties this week in Canberra. Australia’s Defence White Paper is currently open for comment. Individual or organisational submissions can be made. Western Australian member Peter Masters passed away on 28 July. He was 88 years old, and active in mind and spirit right to the last. He will be especially missed by MAPW members and supporters in Western Australia and around Australia. Thanks to Judy Blyth for sharing with us this inspiring obituary. JULE 2008: TWO NEW REPORTS based on recently released documents, show Australia’s willilngness to test and use weapons of mass destruction during the cold war period. SATURDAY 14 JUNE: Visiting Chamoru activists Lisa Natividad and Julian Aguon inspired over fifty participants at an Melbourne workshop on the expansion of US bases in Guam, and the creation of new bases in Okinawa. See the Events column for details of further Australian meetings. CANBERRA, 9 June 2008. MAPW’S President has congratulated Prime Minister Kevin Rudd fon plans announced today for Australia to set up a new international body to push for nuclear disarmament. IN DUBLIN between 19 May and 28 May, 110 governments negotiated a new international treaty, the Convention on Cluster Munitions, that will ban cluster munitions that “cause unacceptable harm to civilians”. The treaty bans all the cluster munitions that have been extensively used. 21 MAY 2008. MAPW has asked its members and supporters to take urgent action (detailed below) to persuade the Australian government to support a total ban on cluster bombs. A crucial international conference is taking place in Dublin, where the wording of the treaty to ban cluster bombs will be finalised by the end of this week. Two stories this week show the vulnerability and risks posed by both military and civilian nuclear facilities Sweden: Men held over nuclear scare SWEDISH police detained two men on suspicion of planning to sabotage a nuclear power station today after one of them was discovered entering it with small amounts of a highly explosive material. ICAN Australia’s report on the nuclear Non Proliferation Treaty Preparatory Committee (NPT PrepCom) held in Geneva from 28 April to 9 May, has now been finalised. MAY 2008: IPPNW has launched a medical campaign, as part of ICAN, to accelerate the global conversion of radioisotope-producing reactors from highly enriched uranium (HEU) to low enriched uranium (LEU). The International Student Movement of IPPNW is proud to announce the development of an international small arms action group for its student members, The International Student Coalition to Abolish Small Arms. This project builds on ‘Aiming for Prevention’, IPPNW’s campaign to prevent injury and death from small arms and light weapons. GENEVA, 8 MAY 2008. The Australian government has raised several important issues which could help advance the abolition of nuclear weapons, during meetings on the nuclear Non Proliferation Treaty this week. MAPW’s Northern Territory branch is supporting a public meeting on proposed uranium exploration at the Angela Pamela deposits, to be held Wednesday 7 May in Alice Springs. The meeting will provide information on the implications of uranium exploration and mining, and discuss options for community response. GENEVA 30 APRIL 2008. ICAN’S TIM WRIGHT REPORTS:Australia today delivered a statement on nuclear disarmament to the Non-Proliferation Treaty meeting in Geneva. It was much different from statements made in previous years. GENEVA, 30 APRIL 2008: MAPW Vice-President Tilman Ruff is currently in Geneva attending the NPT PrepCom (28 April – 9 May), an important meeting of states which are parties to the nuclear Non-Proliferation Treaty. 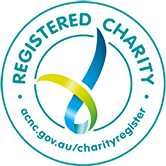 Tilman is one of two NGO representatives invited to be on the official Australian delegation. LAX NUCLEAR SAFEGUARDS pose a key threat for Australia and the world, according to an opinion piece published in the Adelaide Advertiser on 22 April 2008; written by MAPW Vice-President Dr Bill Williams, with Professor Jim Falk. Australia is among a group of countries seeking to "water down" the international treaty to ban cluster bombs, which will be negotiated in Dublin on 19 – 30 May 2008. It is an important time for people to write to the government, as well as to newspapers and other media urging that they fully support the draft treaty, without loopholes. R.S. (Bob) WHITE is Professor of English at the University of Western Australia. Wars have been waged so continuously through human history that they are regarded as unavoidable, but the increasing destructiveness to civilians and the environment makes pacifism an urgent and viable alternative. MAPW immediate Past President Dr Tilman Ruff has been invited to represent Australian non-governmental organisations on the Australian delegation to the 2008 Preparatory Committee for the nuclear Non Proliferation Treaty (NPT PrepCom), which begins in Geneva in late April. SYDNEY, 16 APRIL 2008: MAPW President Dr Sue Wareham used the example of Iraq to illustrate the need for action to to make warfare a discredited and unusable option in resolving conflicts. IRAQ, 14 APRIL 2008: Doctors for Iraq has issued a media release after receiving reports from the Imam Ali hospital in Sadar City, Baghdad, of dozens of civilian casualties following US military air strikes. Read the full release. Five days of intense fighting between the Mehdi army militia and the Iraqi military, together with coalition bombing in early April left hospitals in Iraq overwhelmed with the number of casualties. Doctors for Iraq’s network across the country reported that hospitals were lacking many medical supplies and resources to treat the injured. NEW DELHI, WEDNESDAY. The 18th World Congress of the International Physicians for Prevention of War concluded on Tuesday; the newly elected Board met on Wednesday. The Congress had a record attendance of over 600, half of whom were students or young doctors. NEW DELHI: Australia’s leading role in IPPNW, the global organisation campaigning against nuclear and other weapons, was recognised yesterday with the election of MAPW’s Tilman Ruff to the IPPNW Board. Dr Ruth Mitchell is also on the board as a representative of the South East Asia and Pacific Region. The peace movement must link peace with social justice, writer Susan George told the IPPNW World Congress in Delhi today. NEW DELHI: There are 500 million small arms in the world today, and they are the weapons of choice in most wars today, Indian student Arhinav Singh told the Medical Students Congress of IPPNW yesterday. 90% of those killed by these weapons were civilians, and 80% of these were women and children, he said. NEW DELHI: Australian medical students were strongly represented at the opening of the IPPNW international Student Congress this morning. Outgoing International Student Representative Ruth Mitchell, a recent graduate of Flinders Medical School (SA) welcomed 200 students from around the world. The Government of Norway, with the Nuclear Threat Initiative (NTI) and the Hoover Institution, convened an international conference on Achieving the Vision of a World Free of Nuclear Weapons, in Oslo on 26 – 27 February 2008. The new MAPW website launched! The International Physicians for Prevention fo Nuclear War (IPPNW) will hold their 18th World Congress from the 9-11 March 2008 in Delhi, India. The IPPNW international student conference will take place from 7-8 March. MAPW Victoria is proud to once again support this excellent 10-week course which studies our increasingly complex and globalising world, and Australia’s place in it.